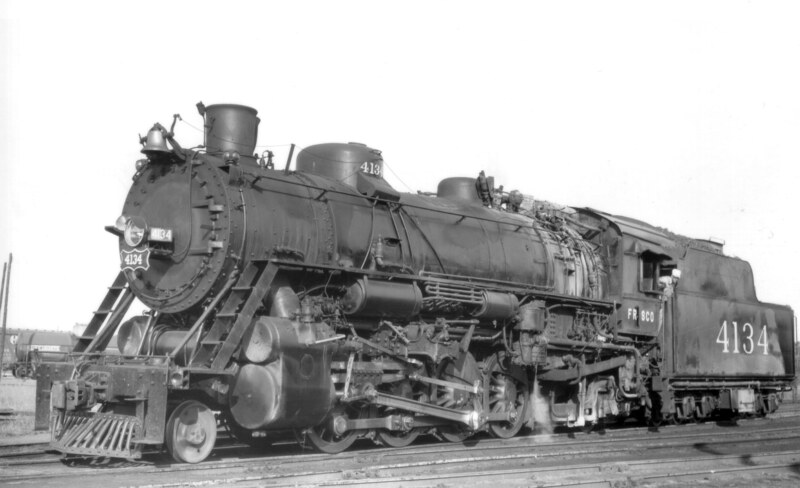 2-8-2 4134 at Monett, Missouri on February 10, 1949. 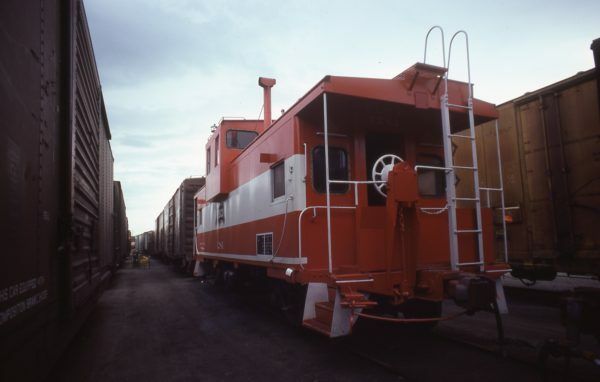 VO-1000 206 at Springfield, Missouri in 1979 (C.R. Scholes). 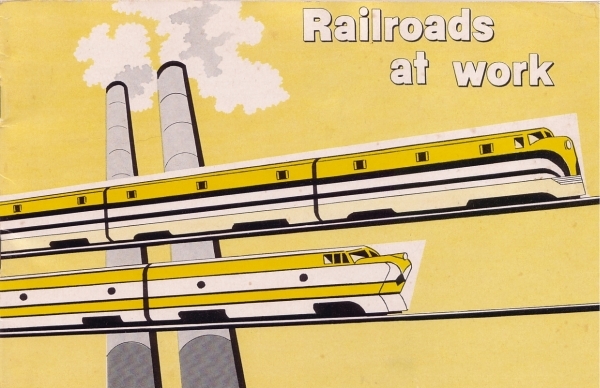 1960 – Railroads at Work (PDF). 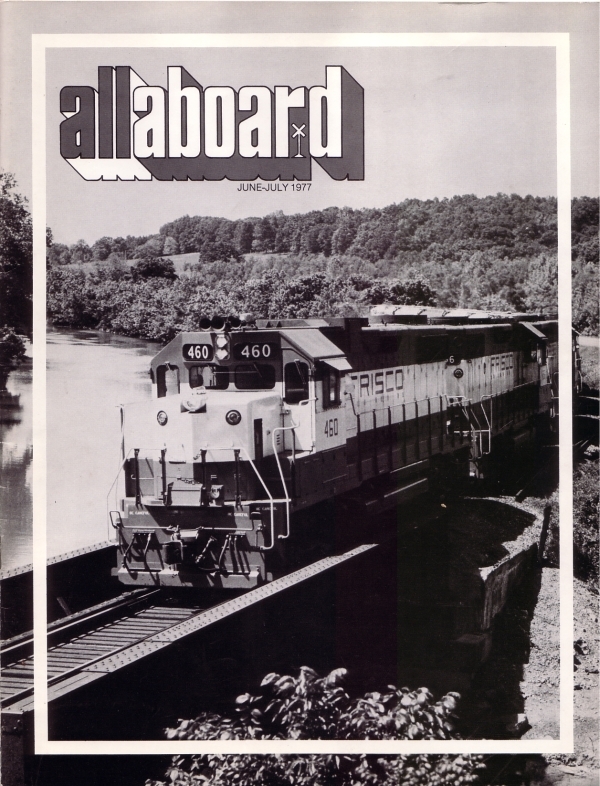 This publication was presented to school children by the Association of American Railroads in 1960. 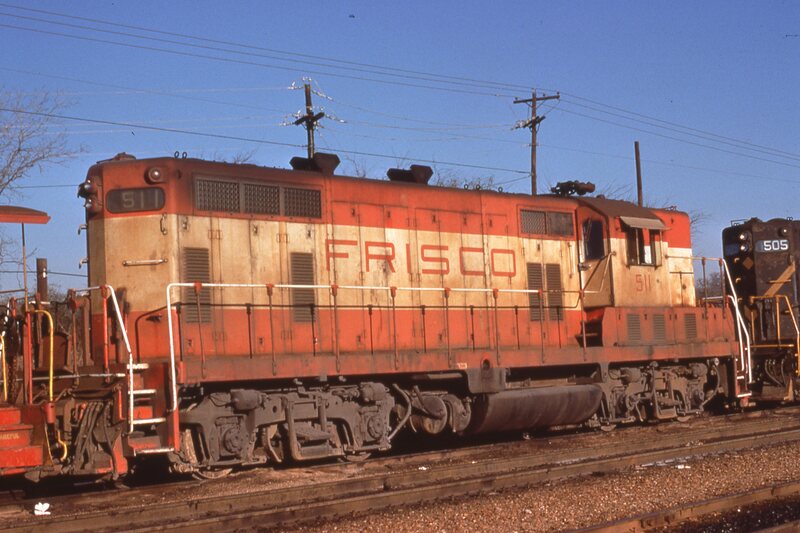 While not a Frisco publication, it is of interest and is presented here for your enjoyment. 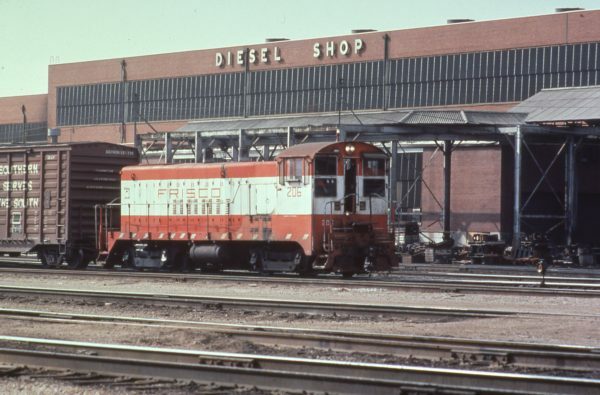 GP7 502 at Oklahoma City, OK Engine Terminal (date unknown). 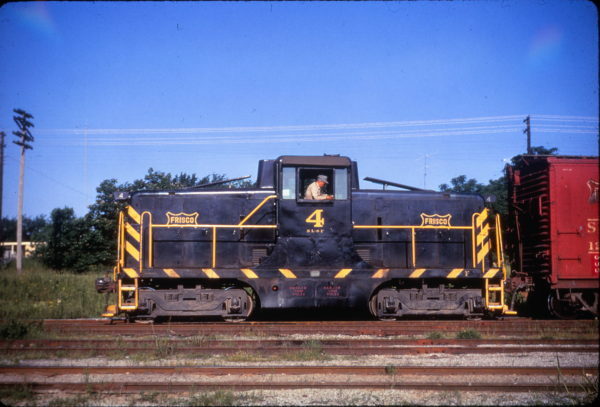 Caboose 1281 at Springfield, Missouri in October 1977 (Russ Porter). 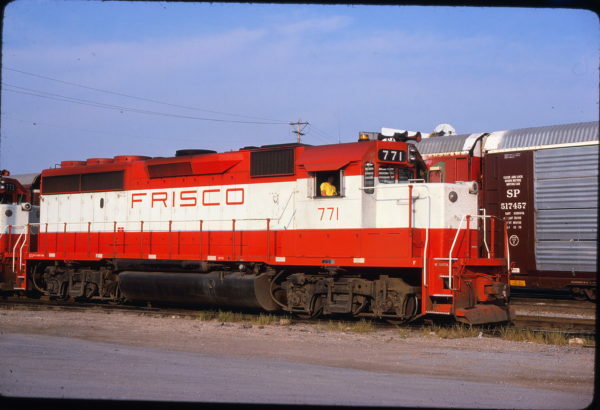 GP7 511 at Irving, Texas in February 1975 (Curt Baker). 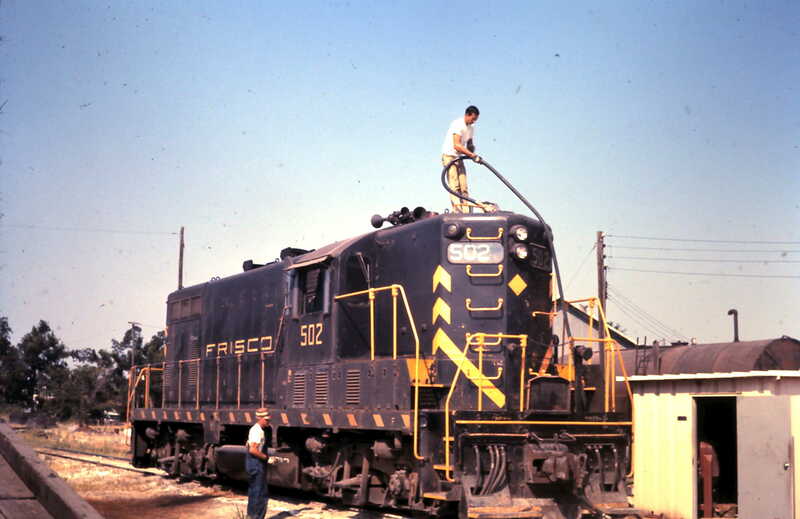 GE 44 Ton 4 at Paris, Texas on May 15, 1967. GP40-2 771 at St. Louis, Missouri in August 1980. 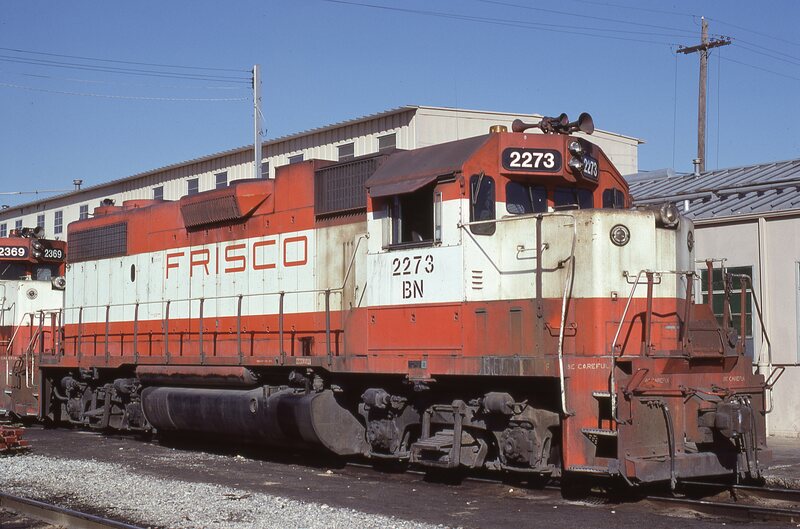 GP38-2 2273 (Frisco 418) at Memphis, Tennessee in January 1981 (Lon Coone).